Forget the usual avocado toast. 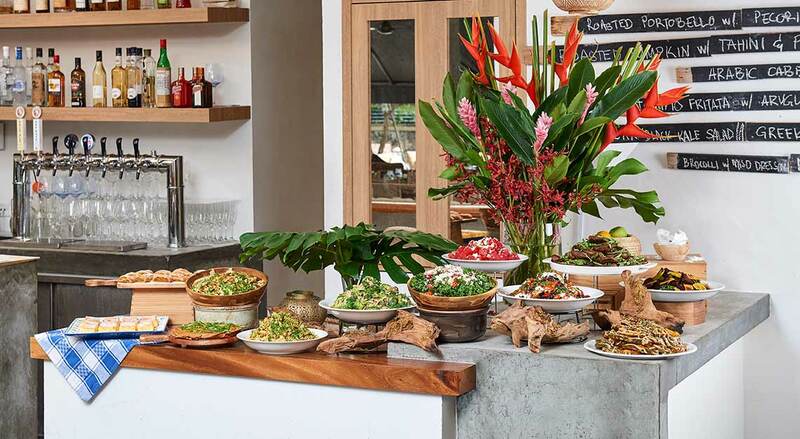 Shake up your Champagne brunches with the versatile flavours of Middle Eastern nosh at Summerlong, a beach-themed joint established by the people behind Neon Pigeon and The Ottomani. 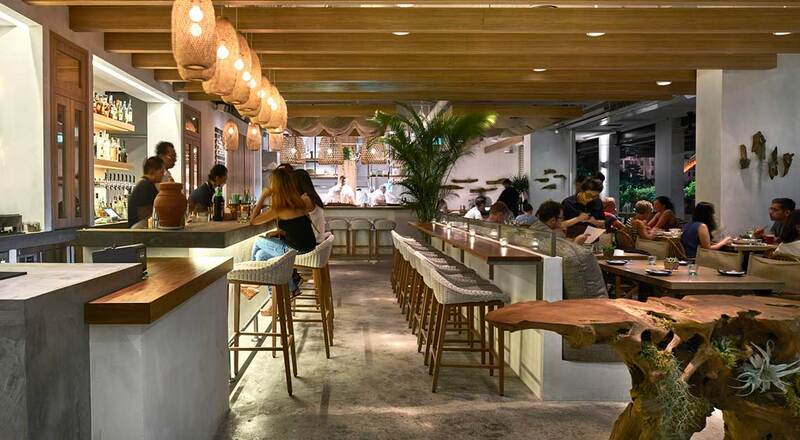 A laid-back venue at Robertson Quay with hammocks and rattan lounge seats, it has recently unveiled an updated brunch menu with tantalisingly bold yet health-conscious offerings. One of them is Shakshuka ($26), a Middle Eastern classic we’ve filed under our list of comfort food. 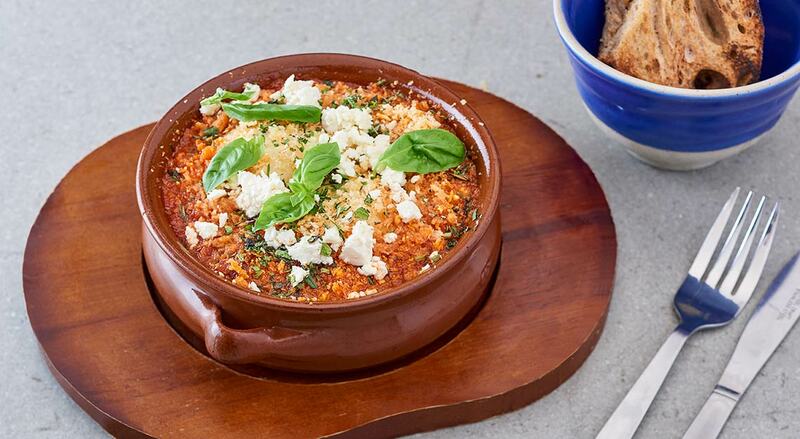 The rustic, mildly spiced tomato-based stew with clay pot eggs and chunks of merguez sausages is topped with feta cheese for that touch of tang. Tip: Order an extra serving of sourdough to mop up the sauce. 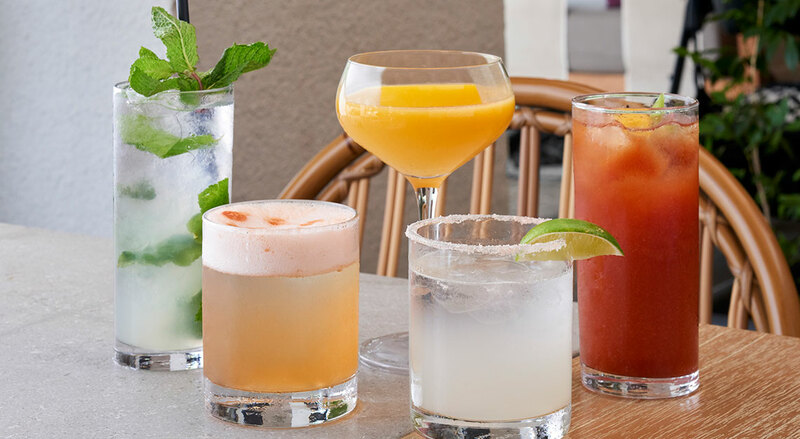 The weekend brunch menu features sweeter options as well, such as Housemade Granola and Fruit Bowl ($17) and Brioche French Toast and Summer Berries ($19). 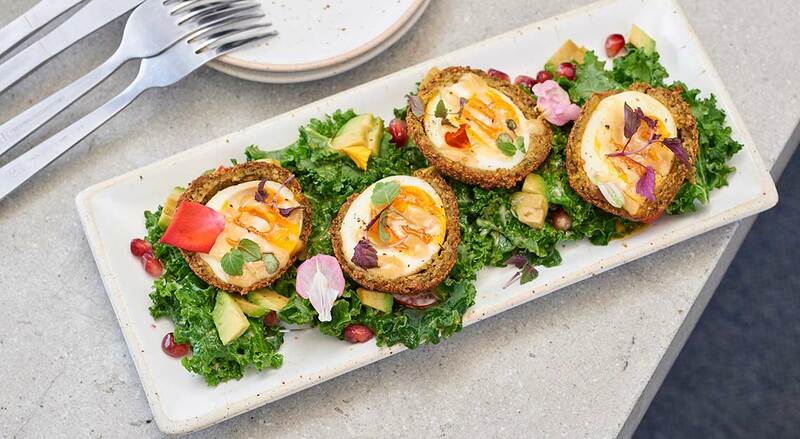 Other fan favourites for clean eaters are Haloumi and Herb Grain Bowl ($22) and Falafel Scotch Egg ($22), both served with avocado, fennel, honey carrots, grains and seeds. 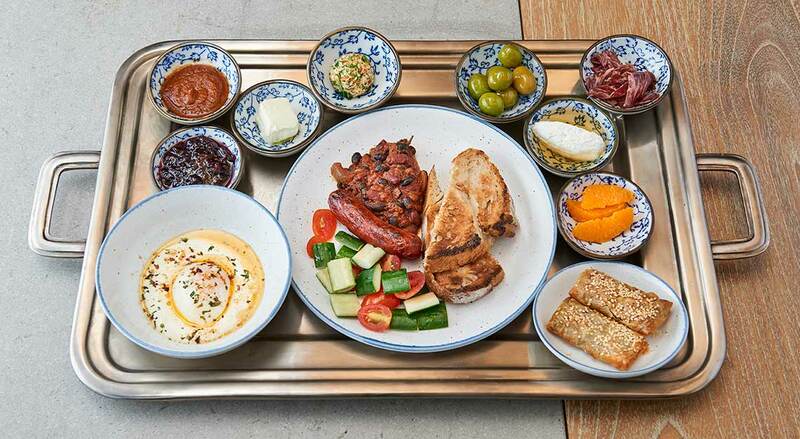 The piece de resistance, however, goes to Real Turkish Breakfast ($35). A bona fide gastronomic spectacle, the main plate of sausages and bread comes with a plethora of side dishes laid out ceremoniously on your table. From cured beef and mandarin oranges to sour cherry jam and smoked olives, this dish is a feast for the eyes and the stomach. There’s even a plate of feta borek, a pillowy pastry packed with spinach and cheese. Summerlong has also introduced a self-serve counter ($23) that boasts a colourful spread of salads, grains, herbs, meats and pastries. Highlights include steamed miso broccoli with almonds and a white wine dressing, oven roasted pumpkin topped with caramelised onions and pumpkin seeds, and yoghurt-drizzled grilled eggplant. At this chic dining haven, it’s not just the food that impresses. There are devilishly over-the-top milkshakes that come with cupcakes and sandwiches; less sinful afternoon cocktails such as the Cucumber Gin Remedy ($15) and the downright healthy teas, fruit and vegetable juices .